City Color Contour Dual-Ended Brush is a dual-ended tool to help you get the most out of your contour. 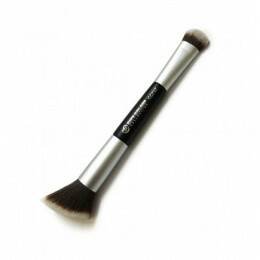 One end features a flat, angled brush for contouring cheeks and framing your face, while the sm..
Flawlessly and easily apply makeup without the hassle. No need to pre-soak or wet to activate. Just spread and pat on makeup. Sponge doesn't soak up makeup so there is less waste. When you're done..